Hipster, original, spacious: a millennial-driven space. From a local burger shop to a love brand, MyBurgerLab team cares about each detail of their service - including the beautifully designed spaces where you can enjoy their food. The space is wide and separated in 2 levels which can fit up to 120 pax. 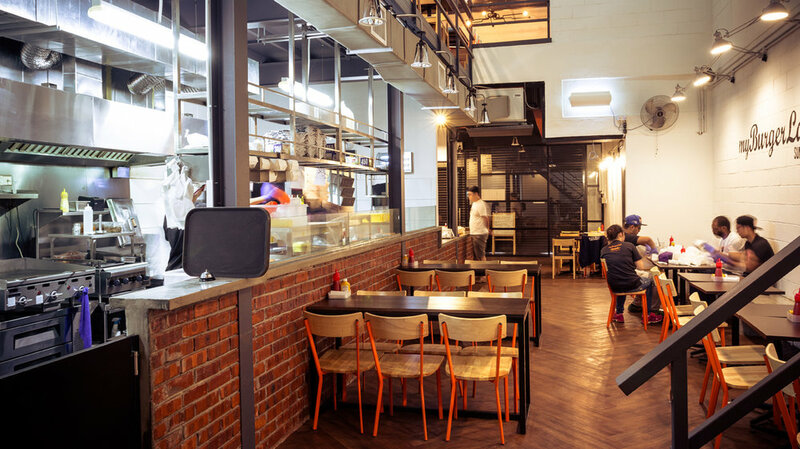 A youthful, hipster and original environment which also caters the most beloved charcoal bun burger in town. Experienced in catering for a diverse range of events, having served burgers at Digi’s Annual Team Celebration Dinner, Future Music Festival Asia, Monash University’s Student Welcoming Rave Party and many more.